Missing or unsightly teeth can be a real drain on our self-confidence, affecting our performance at work, our ability to socialize and our overall happiness and joy in life. Many people that consider completely rebuilding their smile are put off by the extensive time it takes to do so, with traditional treatments such as dentures and implants usually requiring multiple visits to their dentist’s office. However, creating the perfect smile no longer has to take months of preparation and planning. With Teeth Next Day, patients with missing, damaged or unattractive teeth can have their smile transformed in a maximum of two days! Teeth Next Day is a cutting-edge dental implant procedure. On arrival at Vero Dental Spa, will use 3D scan technology to determine your suitability for this procedure and the best placement for the key component of the treatment – a custom-designed Prettau® Bridge. Your doctor will then provide sedation so that he can perform any necessary extractions, and put your implants in place at the same time. The next day you will be fitted with a temporary bridge that is made of hard plastic. Your temporary bridge will have the same dimensions that your permanent bridge will have, this is just a measure to ensure that the fit is perfect before the final product is made. Assuming that your temporary bridge is comfortable and aesthetically pleasing, your permanent bridge will be created. 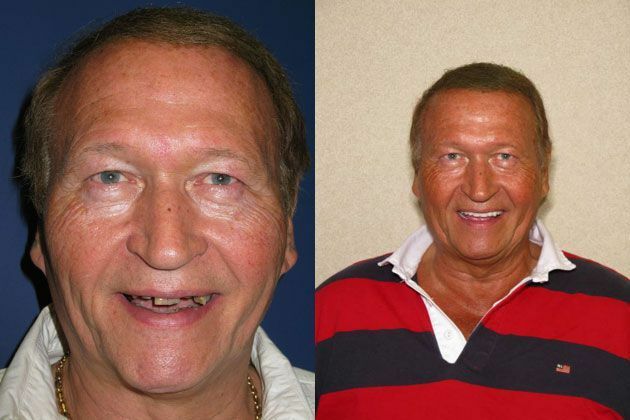 Why is the Prettau® Bridge so much better than dentures or implants? The Prettau® Bridge is considered superior to traditional dentures or implants because it is made from high-grade zirconium dioxide, which is a naturally-occurring mineral. This means that there is absolutely no risk of it being rejected by the body. It is also the strongest and most naturally aesthetic material available in the field of dentistry. The bridge is so strong that it will not fracture or chip, and it is completely impermeable to fluids and bacteria, meaning it cannot stain or absorb any odors. Advanced coloring and glazing help to give the bridge the appearance of natural enamel. When in place, a Prettau® Bridge looks and feels as close to beautiful, natural teeth as possible and with a robust oral care regime, should retain a perfect appearance for a lifetime. Am I a good candidate for Teeth Next Day? If you have broken, missing or unsightly teeth than you may be a perfect candidate for Teeth Next Day. Book a consultation with one of our highly doctors to discuss your candidacy. The exact cost of Teeth Next Day will vary depending on your individual dental requirements, and as such it is best to get an estimation from your doctor at the time of your consultation.